Findlay is Flag City, USA – so it makes sense that there is plenty to do over Independence Day, right? For me, the Fourth of July is my favorite holiday, I love gathering with family and friends, enjoying fireworks, and eating – a lot.  If you’ve never celebrated the Fourth in Findlay we’ve got you covered with this step-by-step guide so you don’t miss a thing! When I moved to Findlay 7 years ago one of the hardest things to adjust to was getting to know the annual dates that holidays and events were celebrated so I didn’t miss any of the fun. For example, the Halloween Parade is always the Thursday of the last full week in October prior to Halloween, the tree lighting ceremony is always the day after Thanksgiving (also the kickoff to WinterFest), and the Fourth of July fireworks are always on July 3 with the parade the next morning. See the full schedule of Fourth of July events on our event calendar! Gather your family and friends, don your red, white, and blue, and prepare for the Fourth of July! The Lighting Up the Sky firework show at the Hancock County Fairgrounds is truly spectacular. But to see the show up close make plans to arrive early. The gates open at 4 p.m. (see this note about the traffic pattern around the fairgrounds!) and there are children’s activities and food vendors throughout the evening so you won’t be bored! The fun steps up a notch at 7 p.m. with Nashville Crush taking the stage before the fireworks at 10 p.m. Make sure to pack plenty of bug spray, sunscreen, a blanket and chairs, and maybe a sweatshirt – although the forecast looks warm it gets chilly when the sun goes down! See all the details here! Make sure to arrive to the fairgrounds early to claim the perfect spot for the Lighting up the Sky firework show! The Fourth of July parade through Downtown Findlay isn’t to be missed. The parade will begin at the intersection of Baldwin and Main before heading North on Main Street and ending at the Veterans Memorial. You can’t go wrong with any of the spots on either side of Main Street, but if you’re looking for some historical enjoyment before and after the parade try to locate yourself near the Courthouse. The Spirit of 1776 re-enactors will be back in front of the sidewalk and near Dorney Plaza. They will be sharing information on the constitution and the history of the Fourth of July. Also a must to prepare for the parade – pick up some sweet treats at Jen’s Buggy Whip Cake Studio; they will be open from 10 a.m. – Noon and are located on Crawford Street, just off Main Street! Spectators big and small and the Fourth of July parade through Downtown Findlay! Although the Hancock Historical Museum will be closed for tours, you can celebrate Independence Day on the porch of the Hull House with an old fashioned Ice Cream Social from Noon – 2 p.m. on the Fourth of July. The museum has a few options to choose from, all at affordable prices. 1 scoop is $1, a root-beer float is $2, or enjoy a sundae bar for $3. The best part? It is Dietsch’s ice cream! Only a few of our local restaurants are open on the Fourth but that doesn’t mean you need to skimp on local options! Purchase your local produce and meat at any of our local food shops, including Brinkman’s Market, Great Scot, The Dough Hook, and The Food Store. Most of these locations are closed on the Fourth of July so plan ahead! Step 6: Cap off the Evening with some Music! If you haven’t been to a Riverside Summer Concert then you are missing out. Rectify that mistake by packing up the whole family and heading to the Allen P. Dudley Memorial Band Shell in Riverside Park on the Fourth of July! Come stuffed from your afternoon BBQ or pack a picnic dinner as you enjoy this free outdoor concert. Playing this week is Buddy Love and the Coconuts, playing oldies as well as today’s top 40 hits! Cap off your Fourth of July activities with some live music at the Riverside Summer Concert Series! From fireworks and parades to ice cream and live music, I hope you take advantage of all Flag City has to offer this Fourth of July!